I don't consider myself a goody-goody person, but I like to be perceived as not classy but comfortable person to hang with. 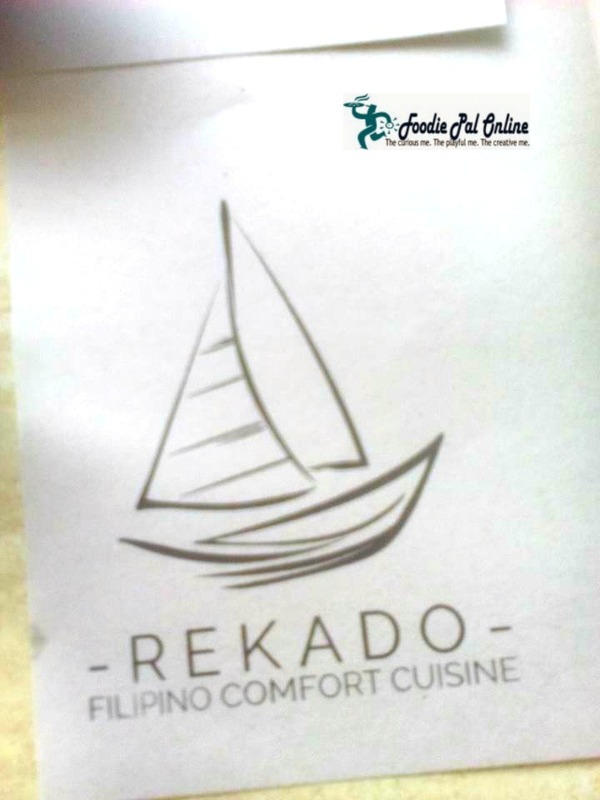 This is what REKADO wants to be known for, as not classy but pocket friendly restaurant. 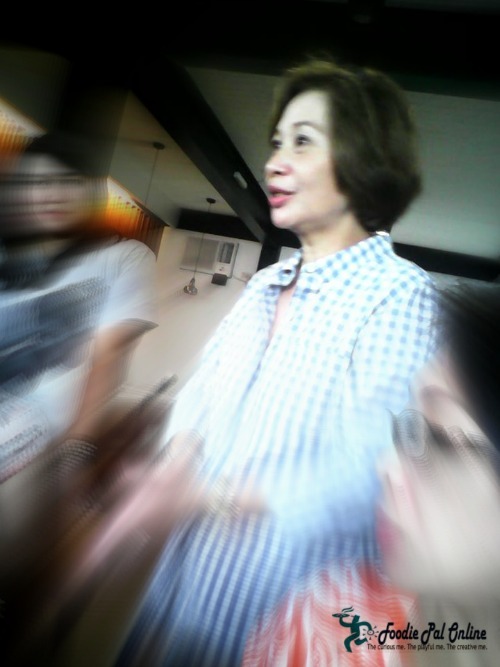 The owner, Ms. Lena Benedicto was very welcoming and down to earth person. 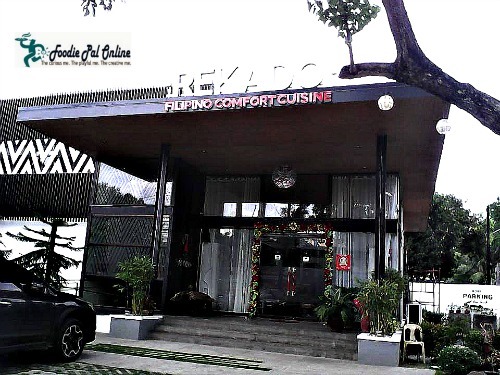 She give us a brief history of REKADO DAVAO and how her daughter, Chef Pauline Benedicto, manage the restaurant and give a creative menu that you can only experience here at REKADO DAVAO. But what really astound me with this restaurant is how they come up with the concept of a VINTA (or locally known as lepa-lepa or sakayan) logo as their signage. 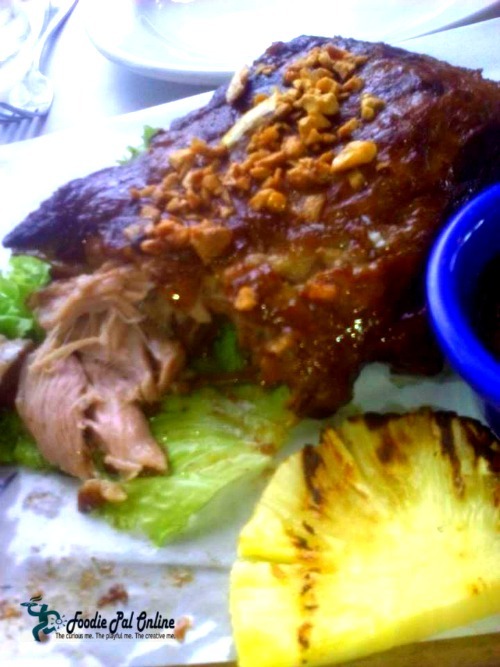 According to the owner, for 30 years in the food industry business (aside from their well-established PATOK SA MANOK & GOLDEN BROWN) they want to show Dabawenyos a more unique food recipes and be distinguished as one of the first restaurant promoting unique Filipino Comfort Cuisines here in Mindanao particularly in Davao City. 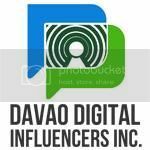 And yes, Davao City is located in Mindanao and along with it, the vinta is one of the most popular symbol that best describe our region. The Vinta become the first transportation that trades spices, ingredients that most of us Filipino use for cooking as "SANGKAP" or "PANGPALASA" or better known as "REKADO". Lovely setting of their first floor, wherein you can see the receiving counter and dozens of cakes and wide variety of alcoholic beverages that are ready to help add your palate and refreshments, the likes of a Red Wine and Mojito. 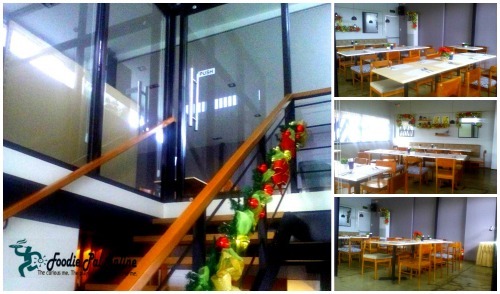 A spacious dining area, it has a long tables that can accommodate large groups for a lunch and dinner gathering! 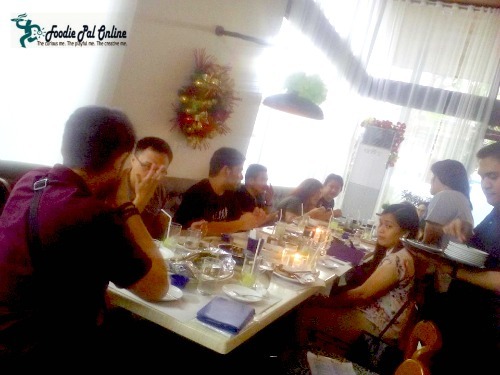 ***BTW their going to launch another set of menu that will cater for one-person. And for the mothers with toddlers, no problem --- REKADO DAVAO prepared a High Chair for them to accommodate your child need's. 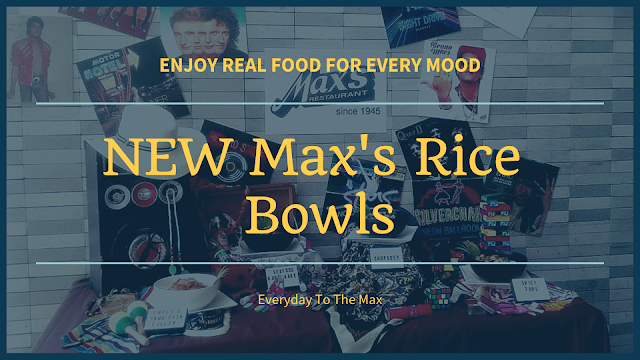 As they want to be part of your success and endeavors in life, aside from giving and sharing their unique Filipino Food Cuisines (with a twist), they OPEN their second floor to cater meetings, birthdays, baptismal and product launching which can accommodate 10 pax to 70 pax. ***DISCLAIMER: Food are rank from my most to less fave, this is based both on taste and value. 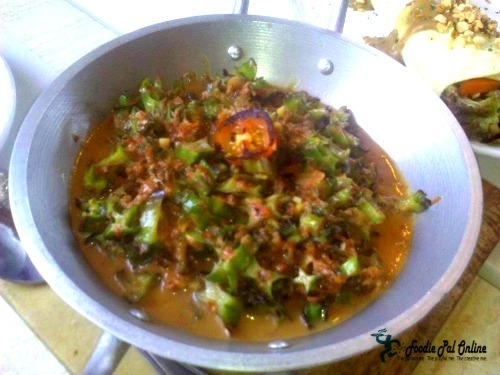 This vegetable gising-gising is different from what I have known for, my mother is from Luzon particularly in Cavite. When she cooked GISING-GISING, she usually use Baguio Beans and Ground Pork. But what I really like about the REKADO Gising-Gising is that it is purely SIGARILYAS with coconut milk, a vegetable that my fellow Muslim brothers and sisters will surely love it! Yes, it's still spicy but well-tolerated. I love the after taste of it. The sauce is very creamy, super, super yummy. I can't explain how yummy it was, better try order it at REKADO and be the judge. 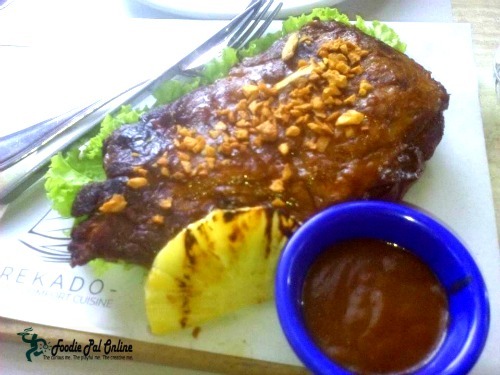 The REKADO Baby Back Ribs is one both adults and kids will like, especially the sweetness and the tenderness once you eat it. What makes it more special, is that the way they marinated it. The taste is perfectly well-blended that my co-food bloggers and I were licking our fingers as we dip it with their homemade BBQ sauce, make sure to prepare for a napkin, because this is surely will be a "MESSY EAT" but taste satisfying. 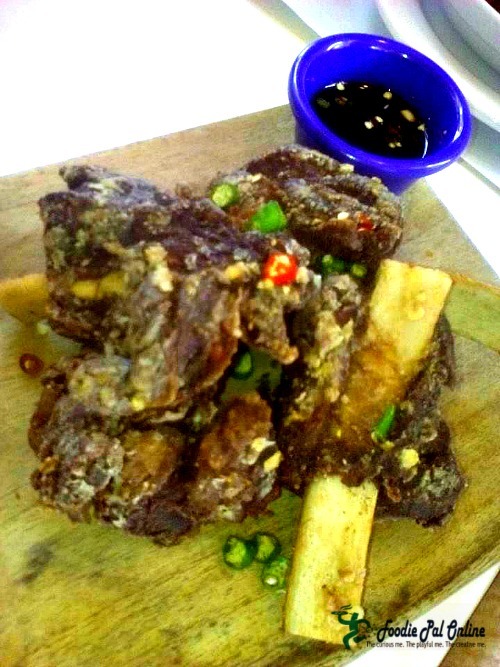 One of my top fave is the REKADO Crispy Beef Tadyang, is not just the crispiness itself but also the after taste of it. Marinated with a sweet tangy mix, and a little bit of spicy on it and deep fried to achieve the crispiness. 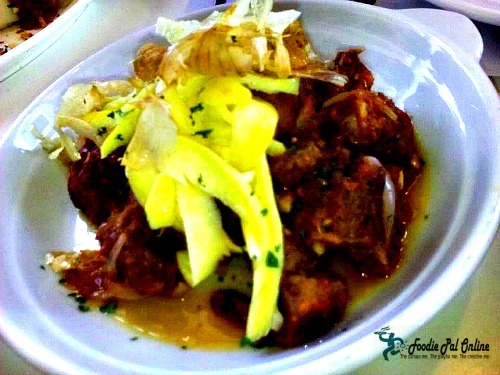 Definitely a mouth watering dish that is good as "pulutan" or a side dish for a beer match. 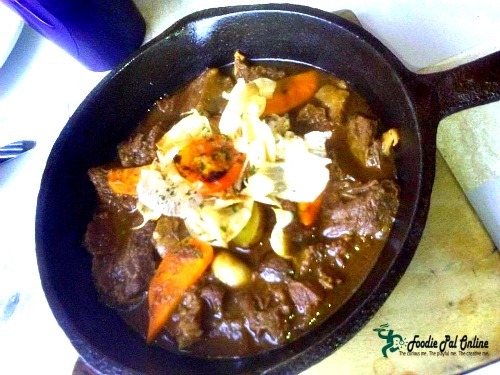 REKADO best-seller recipe the KALDEROBO ( a mix cook recipe of Kaldereta and Adobo). A unique taste, that you need to try. taste test, though it doesn't reach my expectation but still one of my top 5 recipe from Rekado. 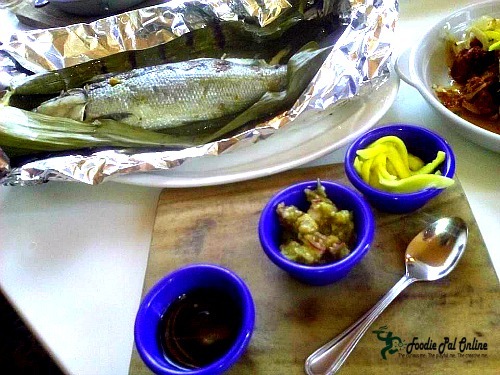 The Pinaputok na Bangus is basically a steam fish recipe. It looks like rellenong bangus wherein you stuffed its meat with sauteed garlic, onion, tomato and spices, but what is unique with the REKADO PINAPUTOK NA BANGUS is when you open the bangus(milk fish) in half you will see a coconut meat itself mix with the ingredients. So love it, you will taste the garnish itself, the creamy sour taste of a mayonnaise? and spices of salt and pepper. The restaurant wants to cater "All Dabawenyos", this is why they serve food that are pleasing to our fellow Muslim brothers and sisters and for those who are not carnivores well this place is perfectly suited just for you. 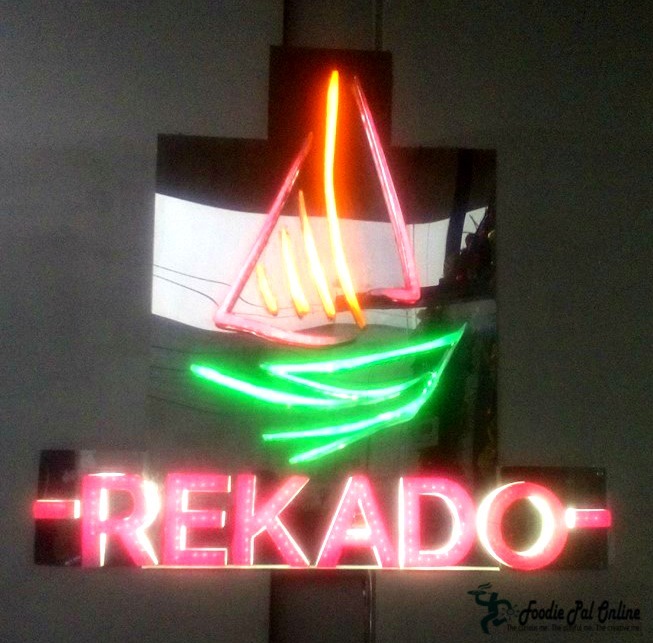 Try this one as one of your pulutan, have a great night chilling out with friends at REKADO. 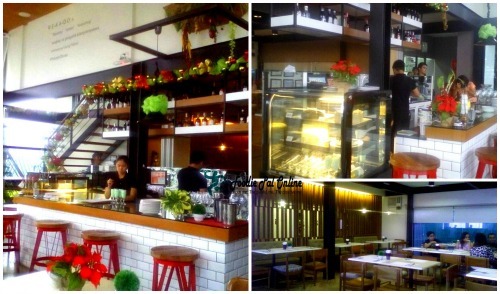 Actually the place is not just good for family gatherings but also a nice place for hanging-out with good friends. 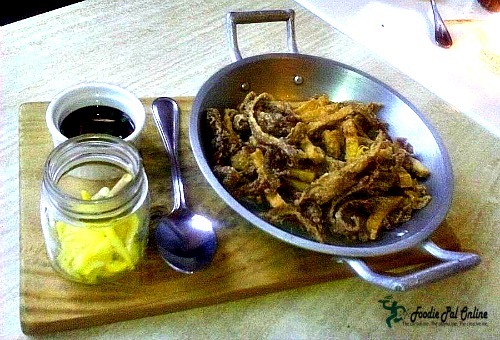 A very simple dish made out of saucy and crispy pork pieces. I love this recipe, but I am looking more for a delightful and extravagant that will change my perception about binagoongan dish. Though I like the presentation, but having an idea about my moms' crispy pork binagoongan it really give me a couple of time distinguishing the difference. Maybe the next visit, I will order this one and review my judgement. Lovely presentation but it doesn't give me that big uhmm I'm looking for. 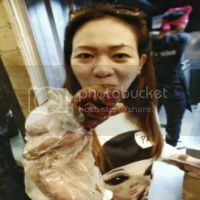 But to be honest, it is very overwhelming to see a large size bite of a fresh lumpia being serve at your table. 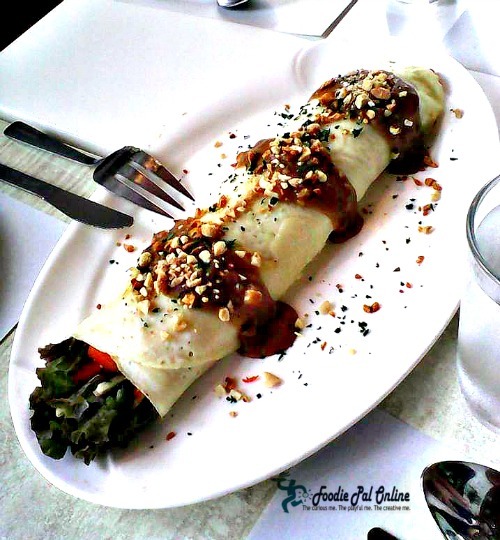 For me, it is just an ordinary fresh lumpia with a sauce on top, sprinkled with chopped peanuts and added with more garnishing. For our merienda or snack, they serve us with SUMAN CON LECHE, PHp175 (Good for 4 to 6 persons). 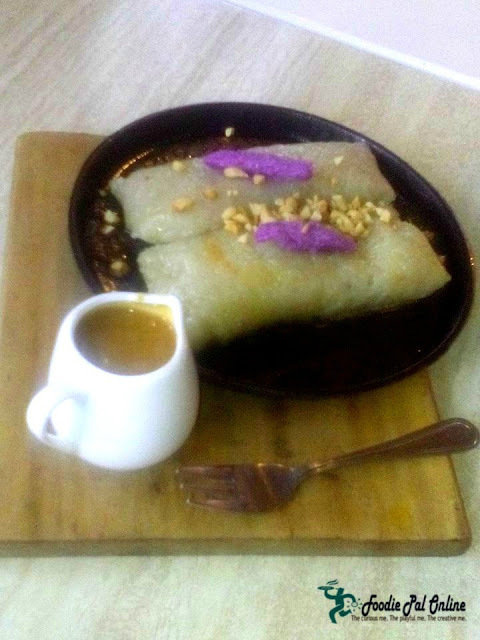 Another amazing unique recipe they have is their sizzling suman con leche! The first suman in a sizzling plate I've ever seen, that will surely boost your appetite right after you taste it! It sooth perfectly to my palate, so yummy and I really need to go back and order it again. 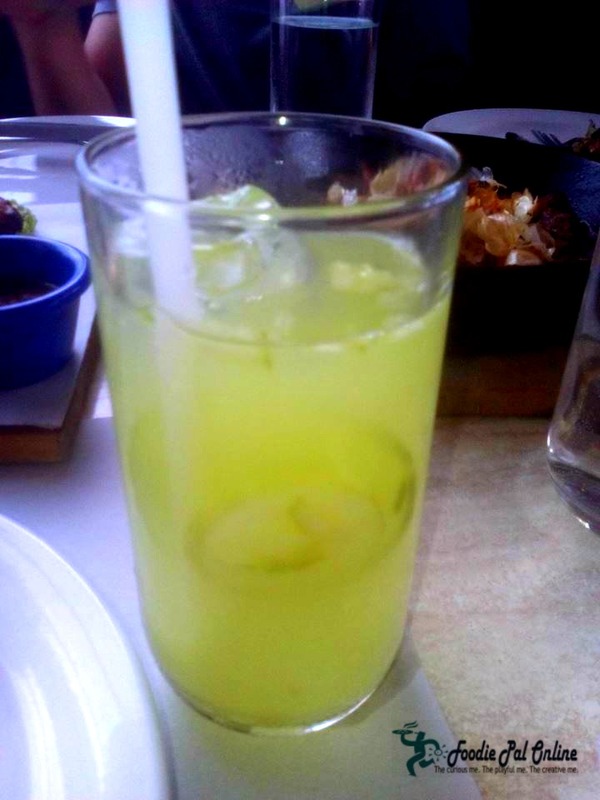 And you must also try their refreshing CUCUMBER AND LEMON, PHp225. Serve in a big jar, good for 4 to 6 persons. Absolutely just perfect after you have eaten all their Filipino Comfort Cuisines. I do agree, this place is basically good but not classy at all. It looks like an expensive place to dine in, but wait don't judge the place, what you see is how the owner welcome and cater their guests to dine in with them. It's not a high end restaurant that you have to pay expensive for their food and services. ****Special Thanks to kodakerdabawenya (Ms. Jojie Alcantara) for the invites. I like the home made touch of their recipes. It's nice that they also have solo serving as well as for sharing.